Missouri is well known for its lushes rolling hills, thick woods, and all around southern charm. Anyone who has ever spent a night camping in the “Show Me” state knows that it is an experience you won’t likely soon forget. 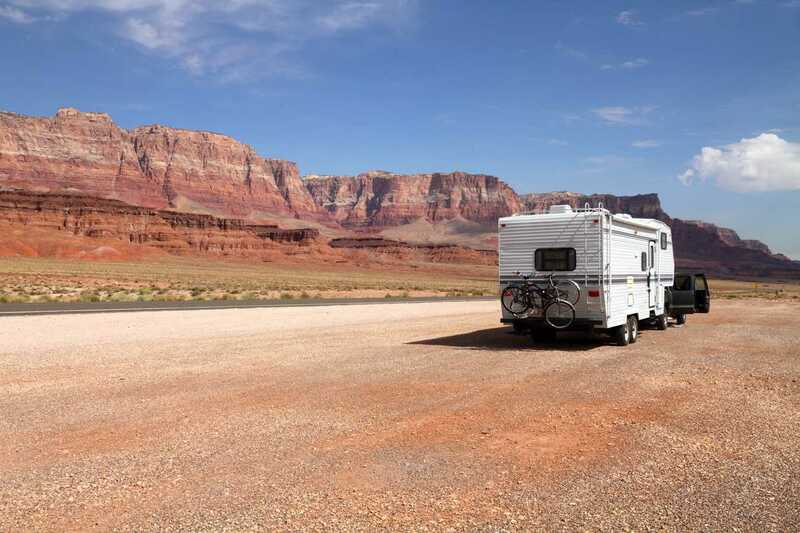 Here are 11 unforgettable RV camping spots, both parks and rustic, that you HAVE to see while traveling through this breathtaking state. Camping in Missouri is an unforgettable experience. From the history, and attractions of the cities, to the beauty and nature of the Ozarks, you will always have something to do. If you are touring Missouri and aren’t quite sure where to go, here are some places to get started. Let’s get started with the incredible Berryman Recreation Area. This lightly used gem of a campsite is located in the secluded Mark Twain National Forest in the state’s southeastern region. A classic rustic camping experience far from the hustle and bustle of everyday city life. 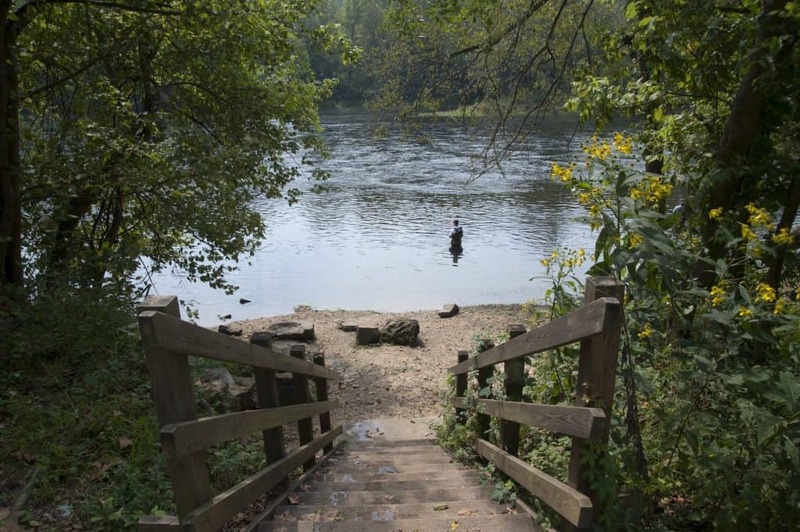 Berryman Recreation Area offers plenty to do in a weekend visit. Stretch your legs and explore over 20-miles of trail traversing the Ozark countryside. Hiking, biking, horseback riding are all encouraged. Trust me when I say there is no better way to experience the Ozarks than from the back of a horse. Picnicking is lovely to experience throughout the year. Pick out a spot in the woods or occupy one of the five picnic sites available for camper use. Each site had a picnic table and a pedestal grill. A pavilion with a large “rustic” grill is also available on a first come first serve basis. There are plenty of small streams throughout the area that provide decent fishing but are especially fun to float on with an inner tube. Especially in the hot summer months. 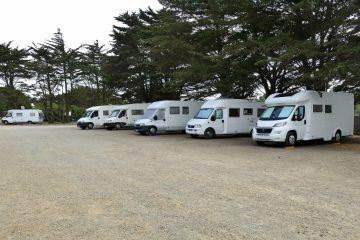 Each campsite is well maintained and clean. There are toilets available in the area, but no clean water so make sure you pack plenty drinking water. Picnic tables along with fire pits are found at each individual campsite. You won’t regret a stay at Berryman Recreation Area! Explore over 20-miles of nature trails through the Ozark countryside. Hiking, biking, and horseback riding through miles of beautiful nature. Picnic spots with grills provided. Pershing State Park is a beautiful grassland interspersed with wooded areas, small lakes and streams, and the occasional hill or mountain. The multiple streams and lakes not only make for an excellent backdrop for your campsite, but they are also great sources of fishing and other water activities. Up your fishing game and cruise to the middle of the lake in a canoe or kayak. If fishing isn’t your thing, you could always paddle around with friends or take a dip in the temperate waters. There is a boardwalk to assist in your boat launch or to help you with the perfect cannonball. Miles of hiking trail wind through wetlands, woods, and cross over lazy mountain streams. Take a hike or a bike ride and get to know the breathtaking countryside. 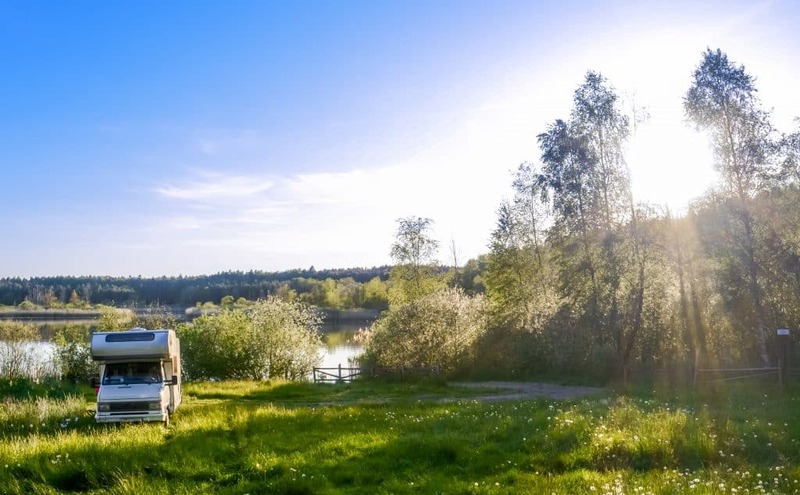 The campgrounds are beautifully maintained and while you won’t find full RV hookups, you will find a lot of amenities that make this rustic camping experience a little more comfortable. On-site, find bathroom and shower facilities. There is even a laundry station so you can camp in fresh clean clothes. Near the camp entrance, find a playground for kids and a picnic area for everyone. Pershing State Park is a great family camping experience with enough fun to last several weekends! Multiple lakes and streams for fishing, swimming, and small boats. Miles of nature trails to hike or bike. Beautiful campsite with playground and picnic areas. 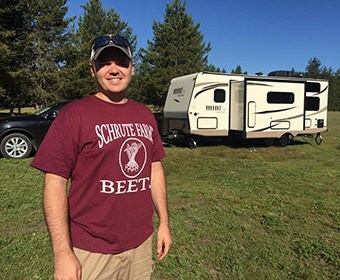 The folks at Cottonwoods RV Park really know how to create a sense of community throughout their campgrounds. Located in the town of Columbia in Missouri’s heartland Cottonwoods RV Park is one of the state’s most highly rated and for good reason. The friendly staff really go above and beyond to provide excellent service. On top of the friendly service, find a clean swimming pool, WiFi throughout the entire camp, and planned community activities such as outdoor movies, a fish fry, chili cook-off, glow party, and more. This campsite is loaded with more amenities than you will know what to do with. Centrally located, visit the general store and gift shop. Here you can purchase food, firewood, and any other camping basic that you may need on your stay. Stop by the gift shop and pick out a souvenir to commemorate your trip. Along with the aforementioned swimming pool, try out the horseshoes and basketball courts. Don’t have the right gear to play? Don’t worry! Rent everything you need on site from the sporting goods rental facility. The grounds at Cottonwoods RV Park are manicured to perfection. Lush green grass carpets the earth and makes for the perfect scenery during your stay. Find bathrooms and warm showers dispersed throughout the camp so you can stay fresh all throughout your stay. Awesome swimming pool open to all campers. Community events like outdoor movies or chili cook-offs. Rent anything you may need for fun at the sporting goods rental facility. 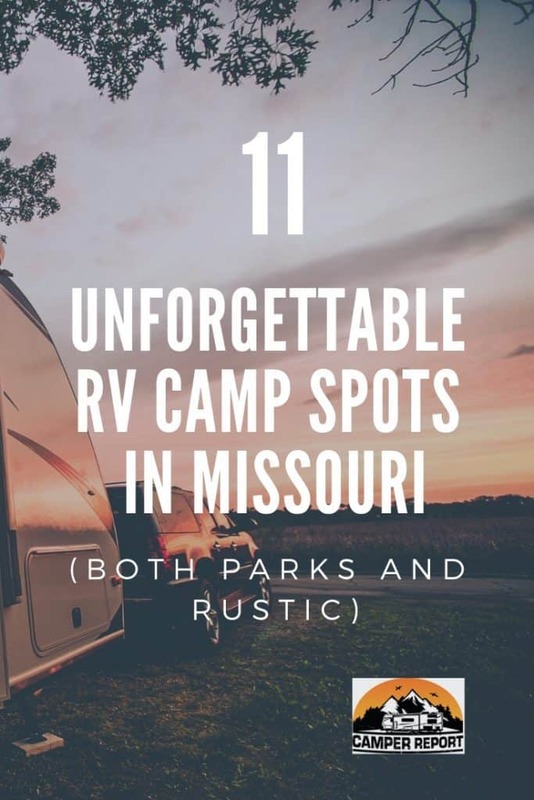 This award-winning campground located just west of St. Louis is right next to some of Missouri’s most exciting attraction including historic downtown St.Louis and Six Flags, but don’t worry! There is a lot to do at the park itself. Take a dip in the swimming pool and splash around for hours. Swimming is available to all campers and is great fun for the whole family. For all those anglers out there, take a trip to the on-site fishing lake. Spend hours fishing for catfish, bass, crappie, and bluegill. For an extra thrill go paintballing at the award-winning paintball arena. 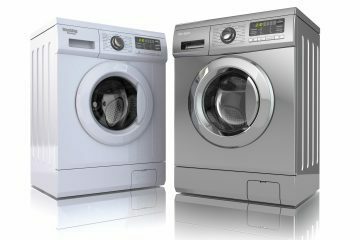 If you don’t have your own equipment, you can rent theirs. Remember, you need to be at least 10 years of age to participate. And that’s just the tip of the iceberg! During your stay, you can also enjoy batting cages, playgrounds, a video game arcade, a game room, volleyball courts, putt-putt golf courses, an arts and crafts station, basketball courts, bicycle parades and more. You could stay a whole week and still have something to do! There are bathrooms and showers scattered throughout the camp at convenient locations. Plus, as an added bonus, each site has its own fire ring and picnic table. Swimming pool and fishing lake. Only miles away from historic St. Louis and Six Flags amusement park. Branson, Missouri hugs the state’s southern border and is famous for its temperate weather and sunshine. 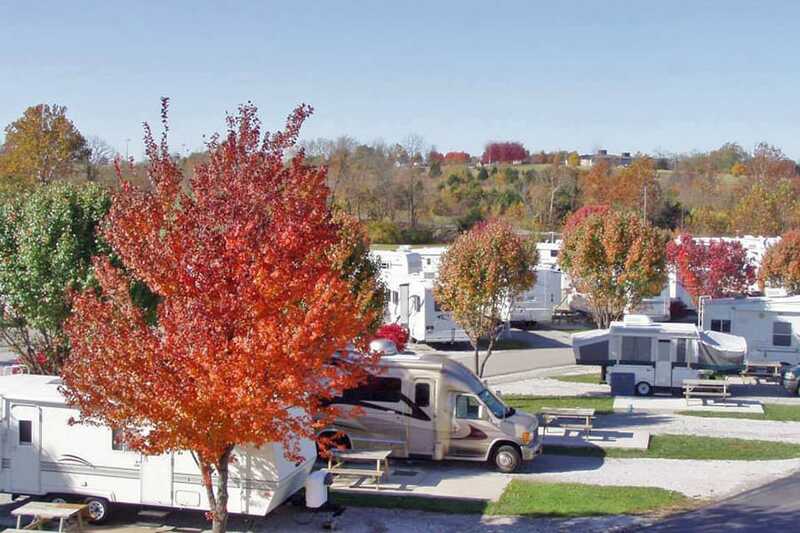 Oak Grove RV Park is located in Branson and all the attractions nearby. Table Rock Lake Dam and Shepherd of the Hills Fish Hatchery. Only 4 miles away, take a tour and see the incredible Table Rock Lake Dam and the fascinating hatchery. Stone Hill Winery. A short 1/4 mile drive down the road and you are at Stone Hill Winery. Take a free tour and sample some superb wine. Branson Landing. Located by Lake Taneycomo, a beautiful upscale shopping area. Oak Groves itself is in a secluded, shaded area perfect to come back to after a long day of exploration and fun. 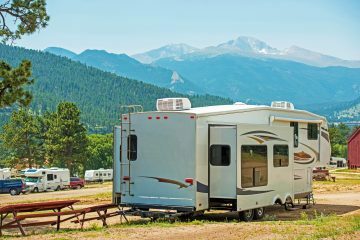 Each camping site has full RV hookups and fast, free WiFi. Kick back and cook at one of the grills right at your campsite and eat at the provided picnic table. After a stay at relaxing Oak Grove RV Park, you’ll never want to stay anywhere else! Located by historic downtown Bronson. Fast free WiFi throughout the camp. Located on Missouri’s southwestern border, Table Rock State Park is the perfect launching point for adventure both on land and in the water. Spend all day out on the water. Kayaks and canoes are perfect for fishing in the beautiful Table Rock Lake. Fish for bass, crappie, and other warm-water species. If fishing isn’t your thing, you could always go boating for fun. Launch your boat at the launch pad and spend a day water skiing, wakeboarding, tubing, or simply touring the water in your boat. Wave runners are welcome as well. If you prefer to keep dry, take a hike down one of several hiking trails. The wild grass and towering trees of the landscape make an excellent backdrop to any adventure you may have planned. If hiking isn’t your thing, try going for a bike ride on a beautifully smooth, paved trail. If that isn’t intense enough, try taking a jaunt down a rougher mountain trail. After a day of adventure, come back to a campsite that has all the comforts of home. 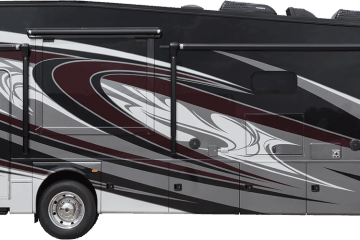 With full RV hookups, you won’t even have to go a day without electricity while roughing it in the woods. 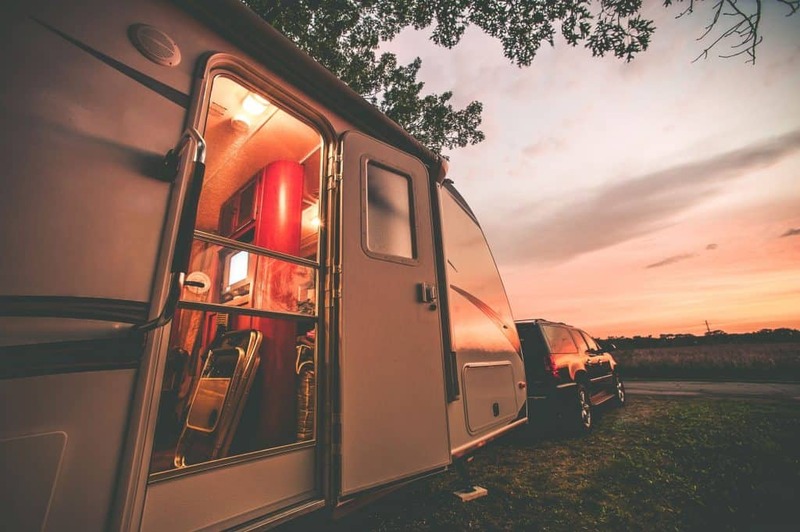 However, if glamping isn’t your thing, you can always stay at a site without RV hookups. Wherever you choose to stay, you can be sure that you will have a picnic table, a fire ring, and a bathroom nearby. Nearby the campsite, Table Rock Lake marina. At the marina, you can rent just about anything to make your day on the water more enjoyable. Rent a motorboat or a sailboat and cruise the lake in style. You could also rent a personal watercraft like a waverunner if you are trying to get your speed fix. If you are tired of the sights above the waves, get a new perspective and rent scuba equipment to explore the depths of Table Rock Lake. Hurry though! The earlier you make a reservation the more likely it is you will secure the equipment you want. The marina also has a good barbecue joint and a small general store with any camping necessity that you may have forgotten to back. Rent boats, Waverunners, and scuba equipment at the marina and explore the lake in style. Miles of nature trails great for biking or hiking. Clean campsites with full RV hookups available. 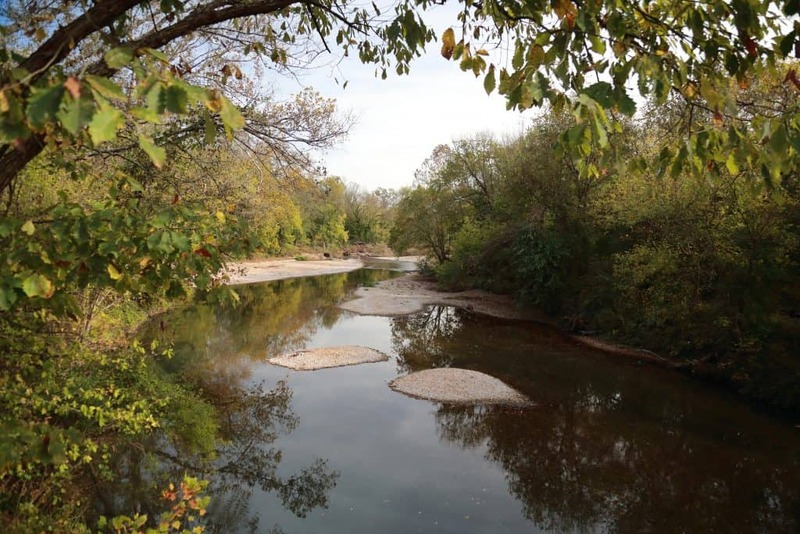 North Fork Recreation Area, located due East of Branson, is home to the beautiful North Fork of the famous White River. The White River is fed by over 9 major springs which two of the biggest, Big Springs and Blue Spring, supply some 18 million gallons of fresh, clean water every day. The White River, aside from supplying hours of fun fly and reel fishing (bass, sunfish, and trout abound! ), is also a great place for boating. Canoeing and kayaking are a favorite on some of the swifter sections of the river. I, however, prefer to lazily float the calmer parts of the river on an inner tube. The Blue Spring Trail (0.6 Miles): This short walk leads to the mouth of the impressive Blue Spring. Pass under the shady trees and flowering hillside and see a truly remarkable cool spring. Devil’s Backbone Wilderness Trail (12.5 Miles): Ideal for backpacking or overnight hiking, the Devil’s Backbone Wilderness Trail is an ideal hike through rough topography in a green Missouri Ozark setting. Spot plenty of wildlife as you wind down a narrow ridge known to early settlers as the devil’s backbone. Ridge Runner Trail (36.5 Miles): A long trail opened to hiking, biking, and horseback riding. 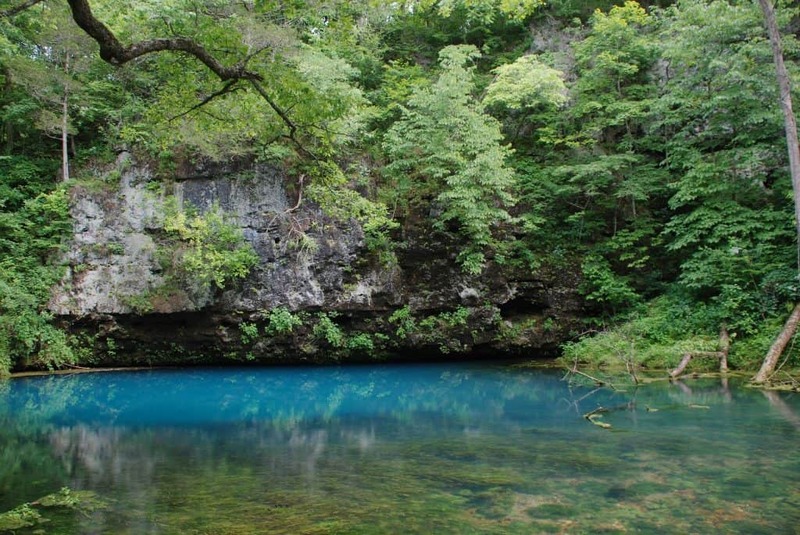 Explore an especially beautiful region of the Ozark’s known for its unique limestone formations. The hike is difficult with landscapes ranging from gentle downhill runs, to rough and rocky inclines. Each campsite has its own picnic table and restroom facilities are nearby. The grounds are secluded and sparsely used so campers will experience a nominal amount of privacy during their stay. Fish for bass, trout, etc, on the famous White River. Kayak, canoe, or tube the cool waters of the White River. Extensive hiking through uniquely beautiful regions of the Ozark. About 5 miles off the interstate arriving at Kansas City, Basswood Resort is the perfect launching pad to all the area’s wonderful attractions. Platte County Fair: The Platte County fair is one of Missouri’s largest. With a demolition derby, live music and entertainment, and beauty contest its no mystery why this fair attracts visitors from all around. Kansas City Zoo: Over 200 acres packed with animals from all over the world. Spend a day at the zoo or make it an afternoon trip. Worlds of Fun: One of the largest amusement parks in the Midwest. Over 175 acres of rides, games, and roller coasters. Nothing keeps a family happier than the fast speeds and thrilling drops of a roller coaster. Kansas Speedway: One of NASCAR’s most famous venues, stop by to see an exhilarating race or take a tour of the stadium in the offseason. Casinos: Gamble at several riverboat casinos including St. Jo Frontier Casino, Argosy Casino and Harrah’s. If you decide to stay at the resort, there is still plenty to do. Enjoy the many amenities offered including a splash playground and swimming pool for kids during the summer months. Fish in one of the 4 privately owned lakes stocked with catfish, bluegill, crappie, and carp, without a state fishing license! a Superplay structure for kids! Basswood Resort has more to do than can be enjoyed in one weekend! Tour the best attractions Kansas City has to offer. Fish any of the 4 privately owned lakes without a state fishing license! Enjoy any of the many amenities offered by the resort. An affordable RV park that offers full hookups at bargain rates starting only at $15! Laura Ingalls Wilder RV Park, named after the famed author of the Little House on the Prairie Series, is a smaller park big on quality service and great amenities. Family owned and operated, Laura Ingalls Wilder RV Park, is next to some of Missouri’s most unique attractions, including the home of the famous author herself. Visit Hicks Natural Cave and do some exploring underground or fish one of the many local rivers and streams. Stay in the wonderfully quiet park and let the kids play on the playground. Whether you are staying for a week or only a night, you are sure to enjoy your stay at Laura Ingalls Wilder RV Park! Quiet, shaded campground with very affordable rates. Local attractions including the home of the famous author, Laura Ingalls Wilder. Great fishing in local rivers and streams. Located at the head of the Current River, Montauk State Park is famous for its excellent fishing and beautiful scenery. Camp in the shaded verdure in the middle of the Ozark region. By the banks of the river, you can spot a number of rare mammals and waterfowl coming out of the brush for a drink of cool water. Follow the banks of the Current to its confluence with Pigeon Creek which supplies over 40 million gallons of water to the river each day. Just below the surface of this voluminous river, rainbow trout wait hungrily. Montauk State Park has been a popular destination with anglers since it was first settled in the 19th century. Scattered throughout the woods are the remnants of building settlers left behind when they lived here more than 100 years ago. Explore the old gristmill which stands as a witness of the ingenuity of these early fathers. Free tours are given every weekend of the on-season. Also nearby a fish hatchery and a playground. If you would rather spend your time exploring the area, hop onto one of the many nature paths nearby. Miles of trail wait to be explored while on foot or on a bike. Campgrounds are basic but well maintained. Perfect for rustic camping! Enjoy fire pits and picnic benches at every campsite. Montauk State Park is a relaxing campground that you will want to come back to week after week! Fish the Current River famous for its burgeoning rainbow trout population. Take a free tour of the historic gristmill offered every weekend during the on-season. Explore miles of nature trail through the beautiful and green Ozark region. In the foothills of the Ozark Mountains, but only a few miles from the city limits of Poplar Bluff, this medium-sized campground offers the best of nature and the city in one convenient location. Those looking for a relaxing jaunt through the mountains won’t be disappointed by staying Camelot RV Campground. 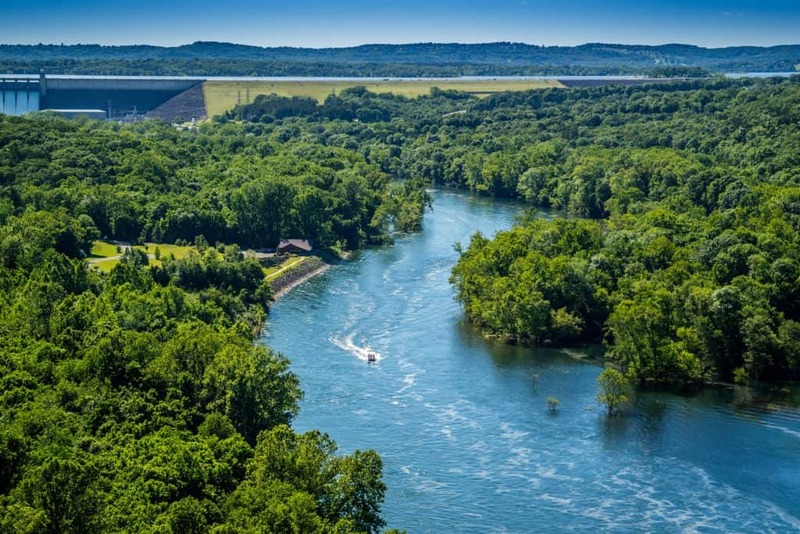 Around the Poplar Bluff area, find rivers, lakes, and natural springs. Visit and enjoy the serene view or bring a fishing pool and up the fun. Water is even more fun if you bring a boat to paddle around. Only 1/2 a mile from the campgrounds find the Wolf Creek trail. A beautiful 21-mile long trail that winds its way through a natural Ozark setting. Relax and take a hike or a bike ride through a picturesque natural setting. But the fun doesn’t stop there. The city of Poplar Bluff has plenty to offer. In the summer, visit the Hydro Adventures water park. A huge park with a pool, waterslides, an arcade, laser tag, and more! Trust me when I say your kids will go crazy over this place. If you want to get a little way and spend a little time relaxing by yourself, why not take a trip to the Ozark Ridge Golf Course? 18-holes on one of the mid-south’s finest golf courses. Also available in town great bars, food, and even better shopping. The campsite is nice, in a secluded shady spot. There are clean bathroom and shower facilities. The campground is family owned and operated with real attention to detail. Extensive hiking trails through the Ozark mountain region. Great fishing in the lakes, river, and springs common in the Poplar Bluff area. Explore the restaurants, bars, and other attractions of Poplar Bluff. How hot is Missouri in the summer? Summer temperatures in Missouri rarely climb higher than 90 degrees Fahrenheit, although it isn’t unheard of to see a day 100 degrees plus. On average, temperatures will hover somewhere in the mid 70s. Perfect weather for camping. Should I winterize my RV in Missouri? 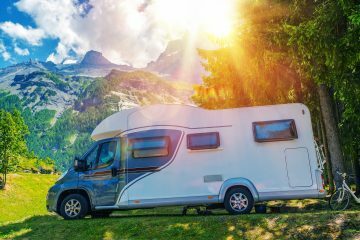 When temperatures get cold its a good idea to winterize your RV as soon as possible, but you may want to hold off if you are going to Missouri. Temperatures rarely drop below 25 degrees Fahrenheit. While it is possible that your pipes might freeze it isn’t very likely. Winterize if you are feeling extra cautious, otherwise, you should be OK.
Is It Safe to Leave a Dog in an RV?